Many big cities have Chinatowns. City districts built around Chinese immigrants. It’s probably a huge generalisation to say that China and its people are traders. That business is hot wired somehow into the Chinese persona. I think there is some truth in it though. 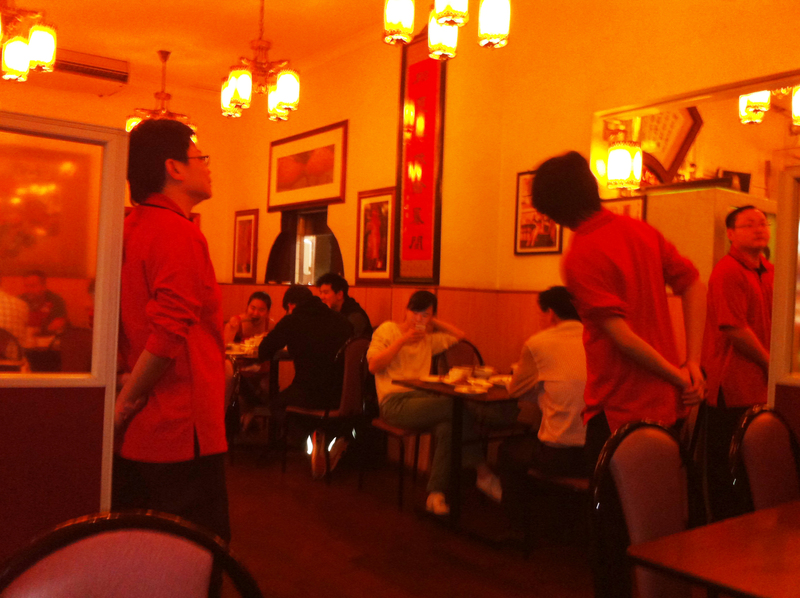 As Eric Idle sings, “I like Chinese.” Take for example my favourite restaurant, here in Sydney’s Chinatown, BBQ King. It’s been operating ever since I was a kid and it’s hardly changed. It’s very successful with it’s steamy window display of ducks and pork and other things I’m not sure of. BBQ King is also a late night haunt for chefs all across Sydney. It’s where the best go to eat. But one thing … it’s never updated it’s look. It has the same vintage Chinese cafe feel with laminex tables and non-descript chairs. The owners haven’t put in any blonde wood (Danish modern) or anything at all chic. Why? It’s an original. The food is amazing. The service swift (if a little unsmiling at times.) But the food is why I go there. It’s unfailingly good. Refreshing brands when they need it can be valuable, but be cautious here! We don’t want to alienate our good customers and we don’t want to lose the tradition and flavour a business has built up over the years just for the sake of change.